Giuseppe Fortunino Francesco Verdi was an Italian composer primarily known for his operas. He is considered, together with Richard Wagner, to be the preeminent opera composer of the nineteenth century. 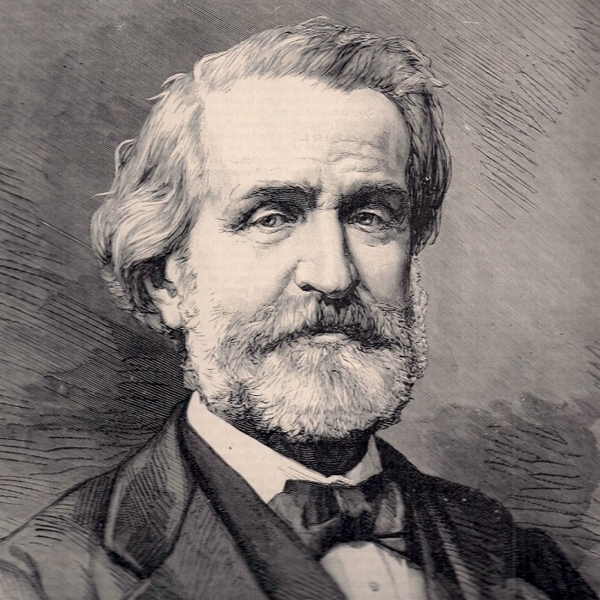 Verdi dominated the Italian opera scene after the eras of Bellini, Donizetti and Rossini. His works are frequently performed in opera houses throughout the world. He was composer to some of the most popular titles of the lyric repertoire, such as those taking part of his “popular trilogy”: Rigoletto, La Traviata and Il Trovatore, and the masterpieces of maturity such as Aída, Don Carlo, Otello and Falstaff. Moved by the death of compatriot Alessandro Manzoni, Verdi wrote Messa da Requiem in 1874 in Manzoni's honour, a work now regarded as a masterpiece of the oratorio tradition and a testimony to his capacity outside the field of opera. Visionary and politically engaged, he remains – alongside Garibaldi and Cavour – an emblematic figure of the reunification process of the Italian peninsula known as the Risorgimento.